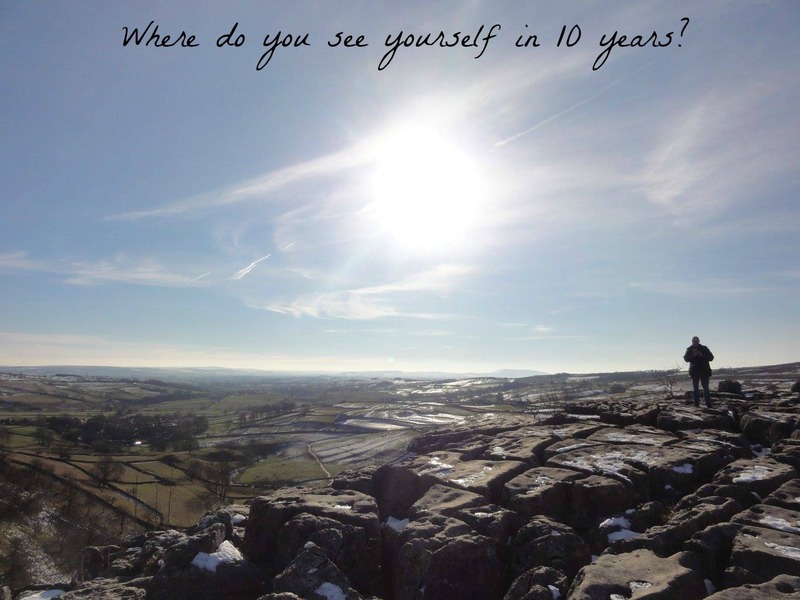 ♥ A British Sparkle ♥: Where Do You See Yourself in 10 Years? I recently watched Alfie Deyes from Pointless Blog's main channel video which asked the question 'Where do you see yourself in 10 years?' and it really got me thinking. Where do I see myself in 10 years? Alfie didn't really know the answer to that and rather than put together some sort of life plan he decided to write down where he hoped he would be. I once wrote a life plan when I was in my early teens and if I ever gave you any tips on writing your own my advice would be don't, they never go to plan and instead take everyday as it comes. I tell you one thing though life's going by far to quickly. I'm at an age where I feel I should be settled down in a job, have a driving license and be paying off a mortgage for my dream house, but I'm not. Instead my life has been put on hold whilst my children have become my 100% priority and although it's not the way I exactly wanted things to be I've had the pleasure of watching my children grow and develop for the last 6 years, something not many people get the chance to do. With not much to go off and no clue to where my life is heading in the next 12 months never mind the next 10 years I thought I'd write down where I hope I will be in the next 10 years. 1. Get a driving licence - This should of happened years ago but back then it wasn't a priority and driving in the UK costs so much money. Now it is a priority and is definitely necessary living where I do. I hope this will happen in the next few years - fingers crossed. 2. Write a book - I'm very aware that my grammar and punctuation isn't up to scratch (Anonymous likes to inform me every once in a while) but I love to write. Writing is definitely a passion of mine and I've been writing short stories since I was a little girl. I feel I have a great imagination that could create a great story and I'm sure with help, determination, and lots of learning in the 'grammar and punctuation' department it's do-able. 3. Get over my social anxiety - I'm the worst at avoiding social situations if possible and this could be something really small like paying for something in a shop - if I can send someone else I will. I've grown up being a really shy girl and it's probably gotten worse as I've gotten older. I think if I feel okay in someone's company than I can just be myself and will talk like there's no tomorrow, and other time's I just feel really intimidated and will keep my trap shut and hope I can leave soon. It's an horrible feeling that leaves you feeling like you may have a panic attack and it really holds you back in life. 6. Get my dream job - I applied for over 80 jobs before having my first child and only got 2 interviews, both resulting in no job. I'm unsure of what I want to do, all I know is I don't want to get a job for just the wage at the end of the month I want to love the job I'm in. Writing, books, film and television I feel are my passions and I know it's hard to get in to but I'd love to work within that environment. I really feel I could flourish and it would help my anxiety so much. Not exactly realistic but it would be amazing to be given the chance. I did hairdressing at college and feel now it wasn't what I was suppose to do. Right now, at 24, I'm still very unsure. Most people don't know but my son's got special needs and I'm currently his carer. I'd love to travel the world and see places I could only dream of. I want my friends and family to enjoy life and have good health and happiness. With that I ask you... Where do you see yourself in 10 years? If you take part please leave a link in the comment section.